Last year's division winner will regress horribly, and the two cellar dwellers will be a lot better. Meanwhile, the New Orleans Saints (outside of the post-bounty scandal season) have been the one constant in this division year after year. After surprising many, and riding their great defense to a division title last season, the Carolina Panthers got a lot worse during the offseason, and will end up being among the worst teams in the NFL. The offense was nothing special last year, and it should be a lot worse now. There was a bunch of turnover in the receiving corps, and most of it wasn't impressive. They drafted Kelvin Benjamin, which I liked, but signing Jerricho Cotchery and Jason Avant to be guys that play legitimate roles on this offense is worrisome. Left tackle Jordan Gross retired this offseason, which is a problem for the 2014 Panthers, because they did not find a suitable replacement for him. Outside of Ryan Kalil in the middle, the offensive line is an issue. As for the defense, the front seven is great, and everything else is horrible. I mentioned when previewing the AFC South that a great pass rush can make up for some deficiencies in the secondary, but that is not the case when the entire secondary is bad. As great as Greg Hardy and Charles Johnson are at getting to the quarterback, the guys playing behind them will be victimized before they even get to the opposing signal caller. I still think that Carolina has the best front seven in the NFL, but a weak secondary, a bad offense, and a strong conference will hold this team back for a year. There is enough talent currently on the team that even if they are terrible, whoever they take in the first round of the draft (probably a defensive back) could propel them back to the playoffs. Not much needs to be said about the Saints offense. 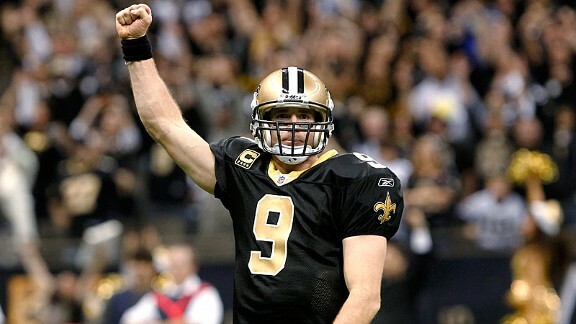 The New Orleans Saints have Drew Brees, and Jimmy Graham, and are coached by Sean Payton. Nothing else matters. They will be great. As you can see by those rankings above, great drafting, and Rob Ryan helped transform this defense into a great one last year. All of the key contributors to that defense will be returning, they're getting a full season of Kenny Vaccaro, which is great before even factoring in the fact that he will be improving in his second year in the league, and they flat out replaced Roman Harper, one of the worst safeties in the league with Jairus Byrd, who is arguably the best safety in the league. Barring injury, the Saints defense is going to be so good that it required a run-on sentence. This team is one of the early favorites to win the Super Bowl. The Falcons are a pretty interesting team, because they totally fell apart last year due to injuries, causing them to be one of the worst teams in the league. I expect a lot better from them this year, but I have too many concerns to put them into the playoffs. They should be a much better offense, because they upgraded their offensive line by signing Jon Asamoah from the Chiefs, and drafting Jake Matthews in the first round. They also should expect Roddy White and Julio Jones to be healthy for most of the year, which was not the case in 2013. Jones only played 5 games before being ruled out for the year, and while White played in 13 games, he was very banged up for the start of the year. I don't think the running game will be much to look at, but the passing game should be dynamic. Here's where I start to get worried. The Falcons lack a pass rush. They just do not have any players who can put pressure on the quarterback now that Sean Weatherspoon is out for the year. And, outside of Desmond Trufant, who was awesome in his rookie season, the entire secondary is average, which is definitely not going to make up for the fact that other teams will have all day to throw on them. Tyson Jackson and Paul Soliai are good against the run, but they're the only above average run defenders on this team. Overall, it will be hard for the Falcons to make enough stops to be a playoff team in the NFC. They're certainly decent, but I do not think they'll be above .500. Last year, I was fooled by the Buccaneers as I decided to ride the Josh Freeman rollercoaster as I picked the Bucs to go 11-5 and win the NFC South. Of course, that didn't happen. Freeman was benched after three weeks before being cut altogether, and the Bucs went on to win only 4 games. The thing is, some of those losses were simply bad luck. Four of the losses within their 0-8 beginning were by a combined 9 points. Talent-wise, the defense should not have been as bad as it ended up being last year. Darrelle Revis was playing hurt at the beginning of the year, so he was vulnerable for the first half of the season, and rookie corner Johnthan Banks was struggling to adjust to the league. They lost Revis because they did not want to pay out his large salary, so they brought in Alterraun Verner, who had a great year in Tennessee. They also signed Michael Johnson, who looked great when playing with Geno Atkins, but struggled to play well without a star defensive tackle. Well, I have good news, Gerald McCoy is just as good as, if not better than Atkins. The offense improved greatly this offseason. Josh McCown is an upgrade over Mike Glennon, who looked bad last year. To aid McCown, who was good filling in for Jay Cutler in Chicago, playing with giant wideouts in Alshon Jeffery and Brandon Marshall, Tampa drafted Mike Evans and Austin Sefarian-Jenkins to go along with Vincent Jackson. Much like in Chicago, McCown will have big targets to throw to. They are getting back a healthy Doug Martin, and even behind him, Mike James was good before getting hurt. The offensive line had questions during the offseason, and got even worse when Carl Nicks retired. But, they signed Anthony Collins and Evan Dietrich-Smith, and traded for Logan Mankins, three very good linemen. 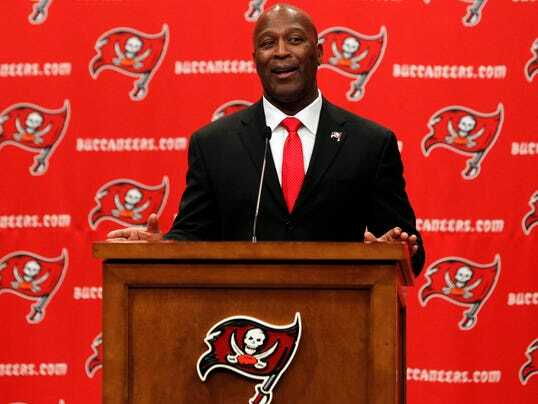 Hiring Lovie Smith to replace Greg Schiano will be a huge upgrade. Smith coached some great defenses in Chicago, which should propel this defense into the upper echelon in the NFL. He's also simply a much better coach than Schiano, which along with the improvements made on offense, should result in a very surprising season in Tampa. 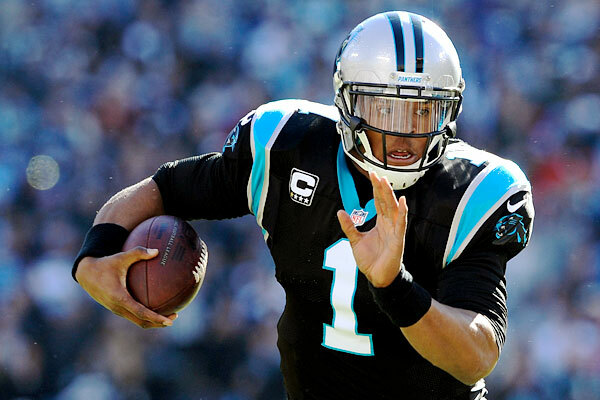 Cam Newton will rush for 800 yards this season. That will be the highest total of his career so far, but I think that with an offense that's lacking quality skill position players, Newton will be forced to make plays by himself a lot of the time. Brandin Cooks will be looked at as the best wide receiver on the team by the end of the season. I'm excluding Jimmy Graham here. Colston is great, but I think Cooks is going to have a great year making all sorts of explosive plays thanks to Drew Brees. Julio Jones will have 500 more receiving yards than Roddy White. This is the year that Jones definitely takes over the role of the primary receiver in Atlanta. 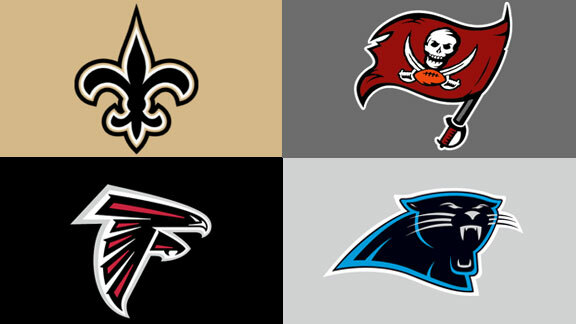 The Tampa Bay Buccaneers will make the playoffs. Hopefully they don't let me down again.